If you love to cook over an open fire, wander through the woods or are just looking for chef tested recipes, welcome! Year after year, there are certain dishes that I just can’t seem to get away from, dishes that people remember and repeatedly request. 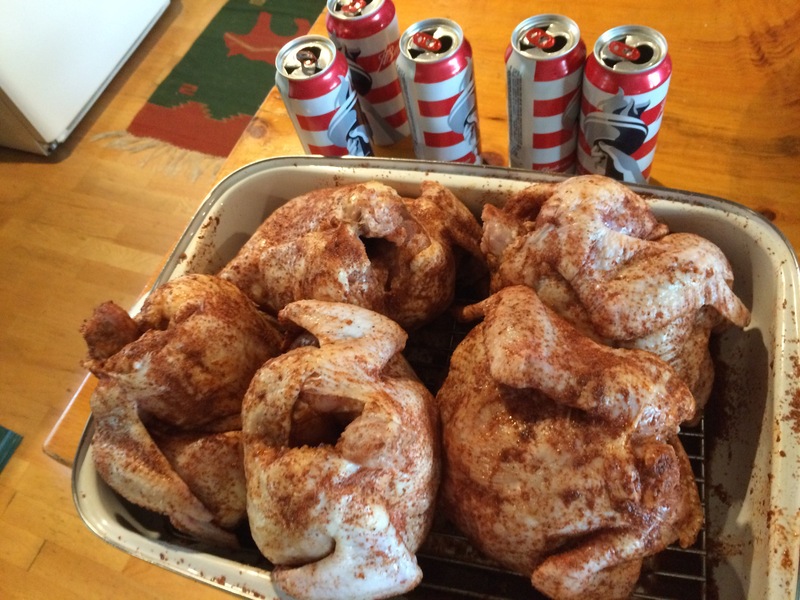 One of those dishes is Beer Can Chicken. I can see why so many people like it. 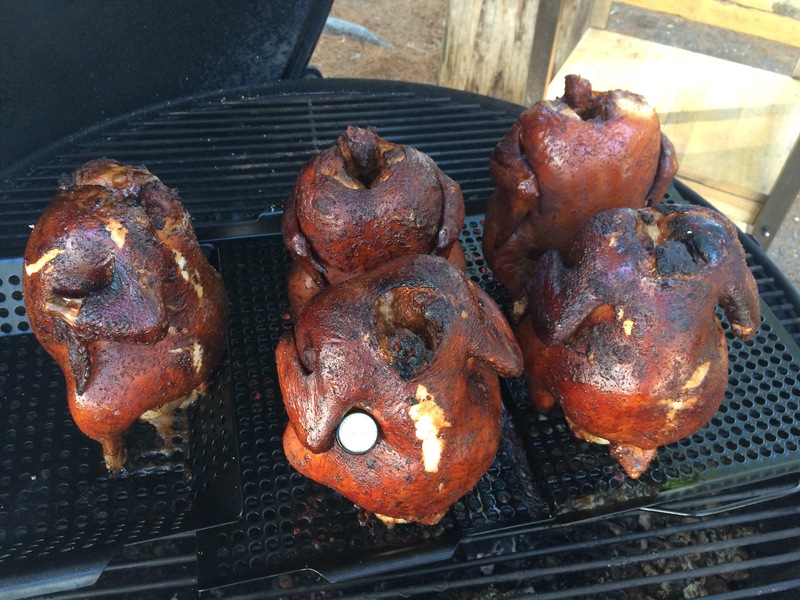 The beer keeps the chicken from drying out, ensuring a juicy, tender bird all the way through. The sweet and savory rub complements the flavor of the hardwood smoke and cooking the chicken whole on the bone ensures maximum flavor. This dish does not require any special ingredients or expensive equipment. 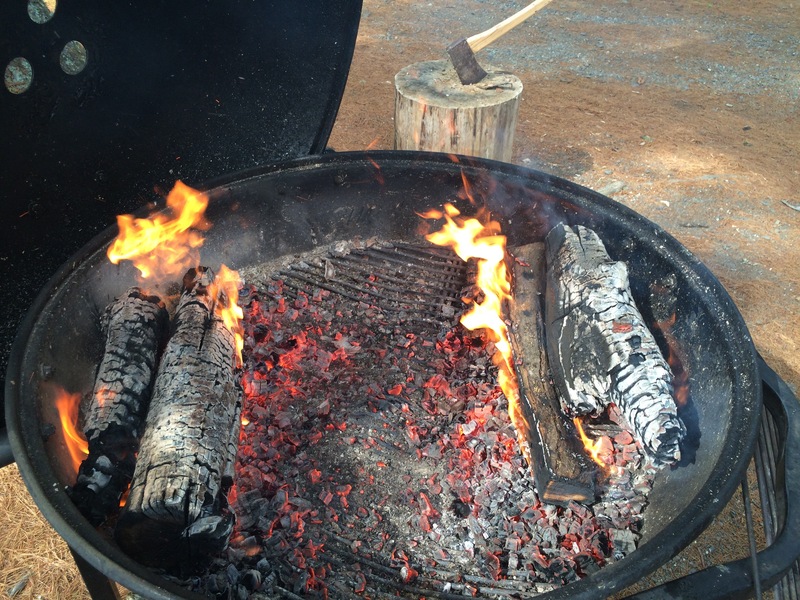 I like to use hardwood to cook over but you can do the same thing with charcoal and achieve delicious results. I have scaled the recipe for one 5 pound chicken, but you can cook as many as you can fit in your grill. I regularly cook five or six at a time when I have a big crowd. 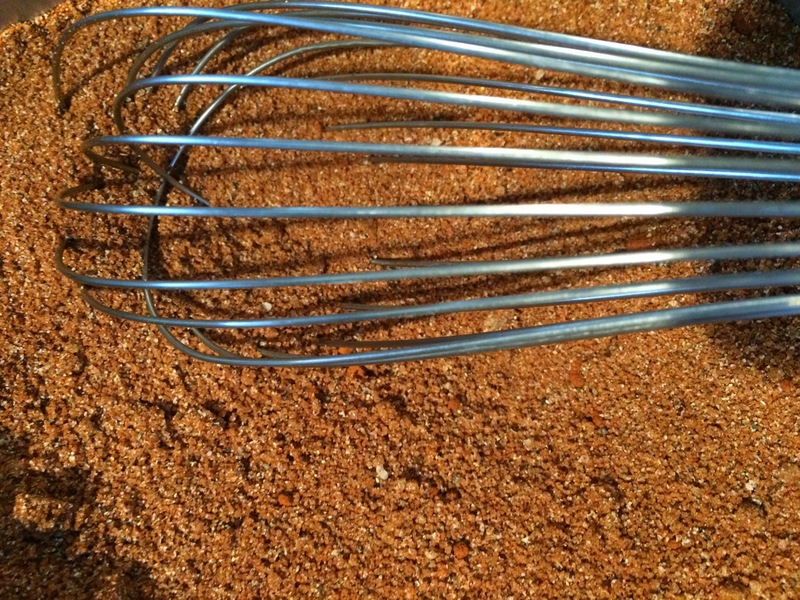 Combine all the ingredients for dry rub in a bowl and whisk to combine. Set aside until ready to use. Rinse chicken well, dry with paper towels and place on pan with a rack. Make sure the cavity of the chicken is empty. Liberally salt the chicken, inside and out and let sit for at least an hour. This step is called dry brining and will help the chicken retain its natural juices while cooking. 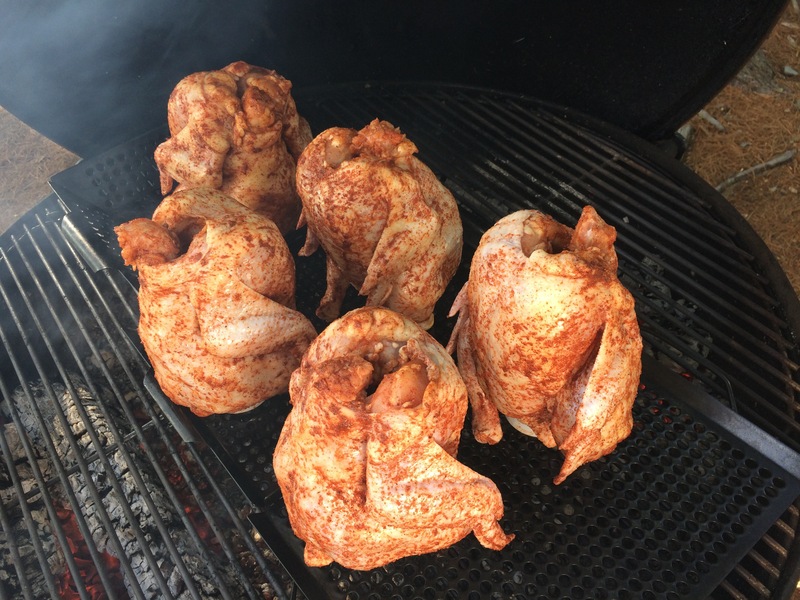 While the chicken is brining, build a raging fire in a kettle grill and let it burn down to coals or start your charcoal in a chimney smoker (a hardwood fire will take about an hour to burn down, charcoal will be ready in about 15 minutes). When the fire has burned down to coals, bank it to either side of the grill, put the grate on and close the lid, making sure the vents are open and you have good airflow. Open the can of beer (I typically use Budweiser) and drink half, after all, you’re the one doing all the work! 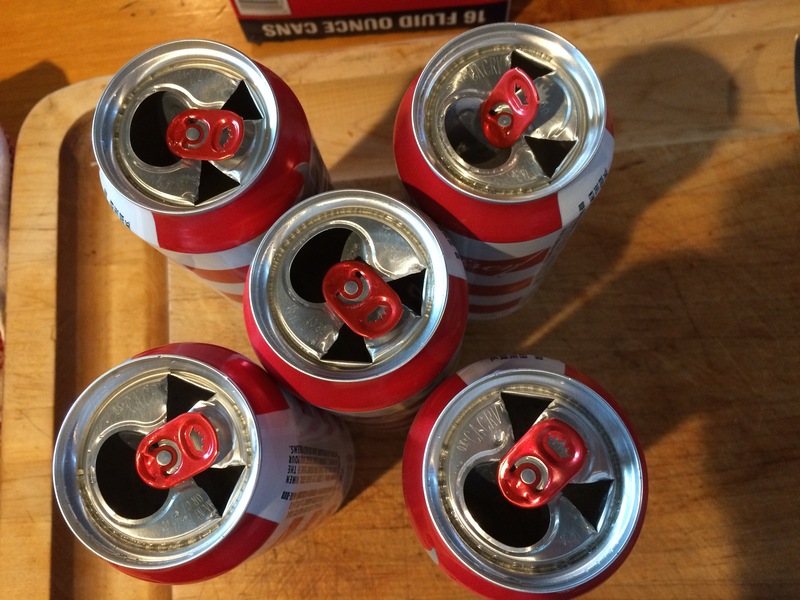 I have used 12 and 16 ounce cans and they both work well. With a church key style can opener, make two extra holes in the top of the can. This will allow the maximum amount of steam to escape from the can while the chicken is cooking. Crumble the bay leaf and put it in the can with the remaining beer. Apply dry rub to the chicken liberally, inside and out. You may have some left over. You can store it in a spice jar and it is good on all sorts of stuff, including BBQ Ribs. Check the temperature of the grill. The internal temperature should stay around 350 degrees Fahrenheit. If the grill gets too hot, close the vent to kill the fire. If the temperature drops too low, add more fuel and stoke the fire. 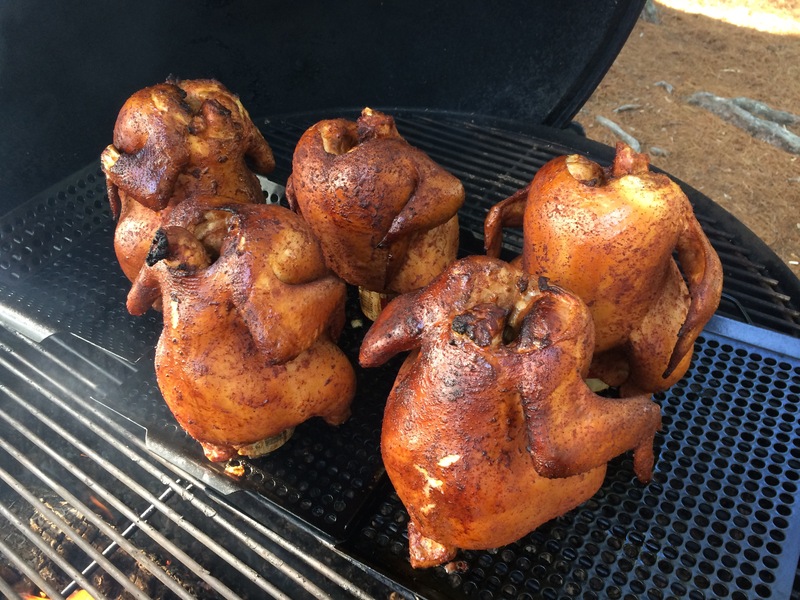 Once you have the temperature where you want it, Insert the beer can into the chicken cavity and place on the grill grate so the chicken balances on the can. 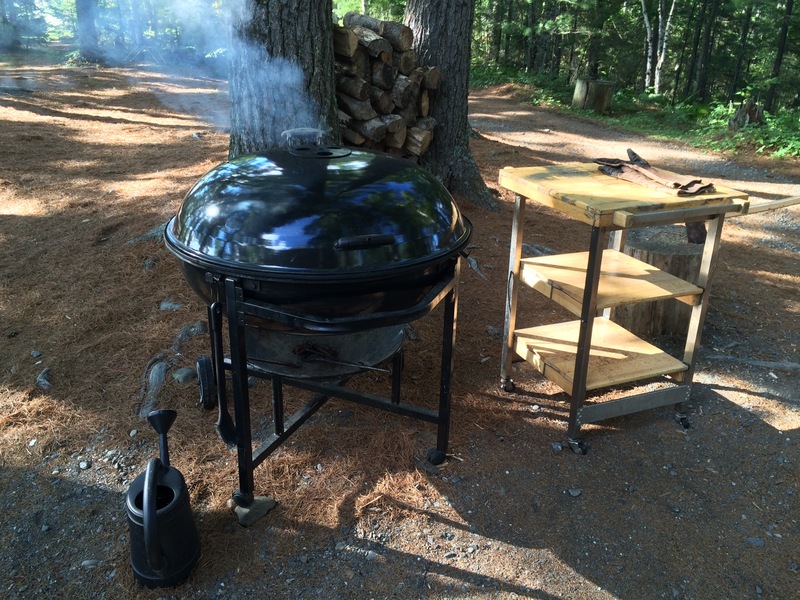 I find it helps to use a metal grill pan to provide more stability but it is not necessary. Close the lid of the grill, being careful not to accidentally knock over the chicken. Make sure the vents are open and you can see smoke coming out. Resist the temptation to frequently open the lid and check on the chicken. Every time the lid is opened, heat is allowed to escape, making it difficult to maintain a consistent temperature. For the first hour, do not open the lid unless you have to. After the first hour, open the lid and take a look. Cooking over a live fire is not an exact science. There are many different variables that can affect cooking time. 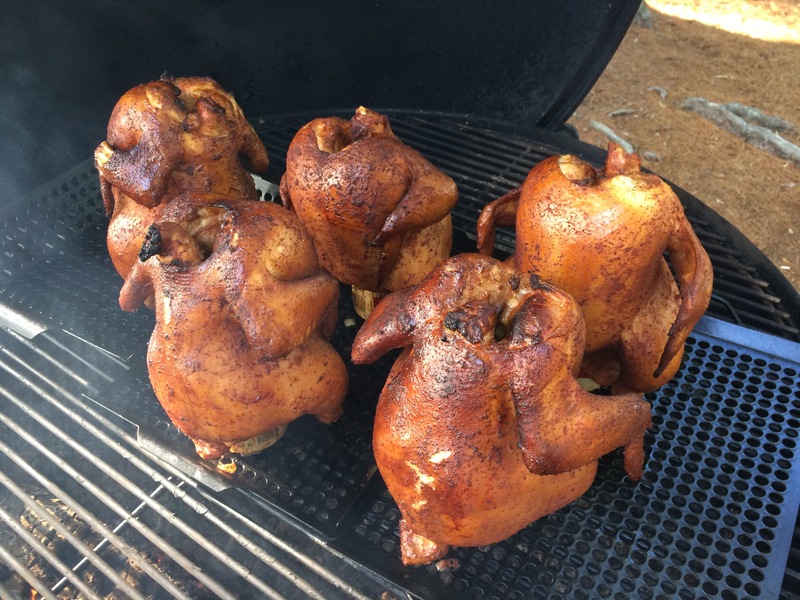 If all goes well, your chickens should look like this after an hour. 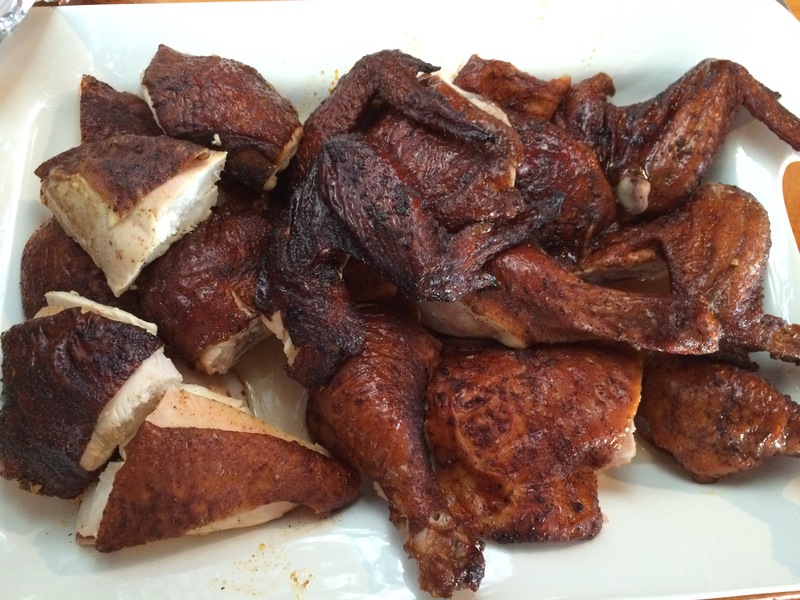 A few times I have opened the grill only to be horrified at finding black, carbon-coated chickens inside. Every time I was pleasantly surprised to find that the chicken was still cooked perfectly inside and completely delicious! Check your chicken’s temperature by inserting a thermometer in the breast and along the thigh bone. 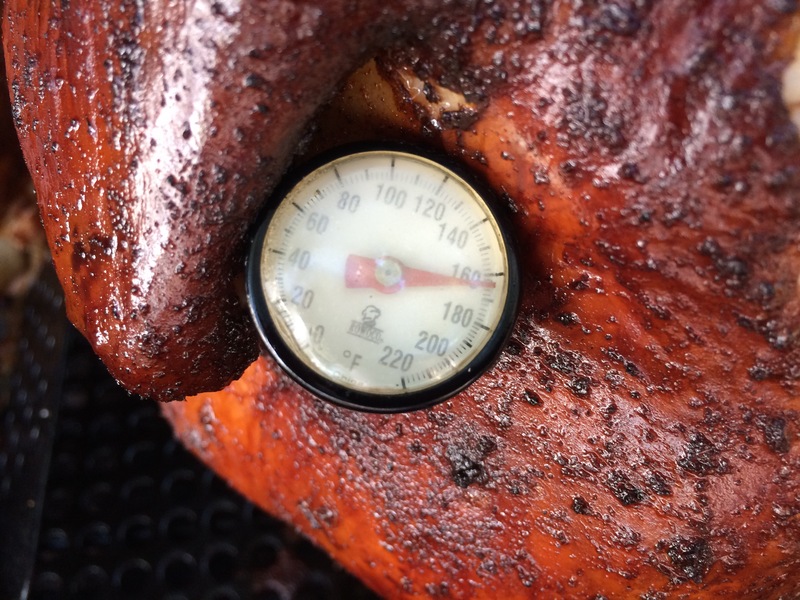 Chicken is ready when the breast temperature measures 160 degrees and the thigh measures 175 degrees. If it isn’t ready, don’t rush it. Just close the lid, open another beer and cook a little longer. When the chicken is ready, carefully remove from the grill and tent with foil. Allow the chicken to rest for 10-20 minutes before carving. Remove the beer can carefully (it will likely still have some hot liquid in it) and cut the chicken into pieces and serve.